Australia's Greatest Pop Culture event Oz Comic-Con flies back into Melbourne this June. Fire up your lightsabers, dust off your capes and throw on your biggest Whovian scarf this winter as Oz Comic-Con returns to the Melbourne Exhibition Centre on the weekend of 8 - 9 June 2019 for an another epic weekend of comic-geddon joy. 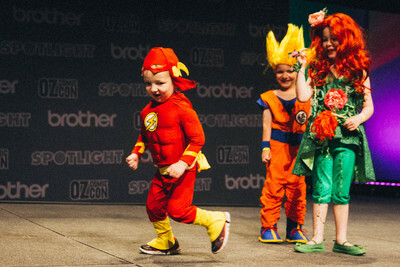 No need to leave your mini-marvels at home because Oz Comic-Con is an event for all ages. Kids can leave their mark on MARVEL's colouring wall, spark their creative desires in a range of kids comic artist workshops and walk tall in the Kids Cosplay Parade. Enjoy all the stuff you know and love about gaming, sci-fi and pop culture all under one roof. There's rare merchandise to buy, Cosplayers to grab a selfie with, comic artists, TV and movie stars to meet plus so much more. If your child has ever dreamed of meeting his or her superhero or movie character in "real life" this is as close as you're gonna get. 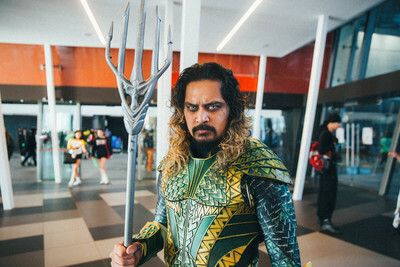 Early bird tickets are now on sale for 2019 Oz Comic-Con. It is advisable to book your tickets in advance to guarentee your entry. Oz Comic-Con gets busy. 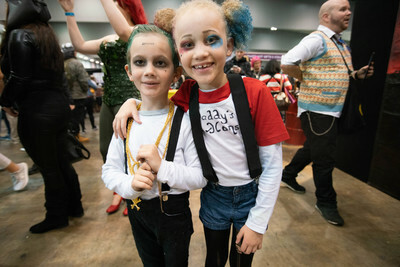 Keep an eye on our Facebook Page as we're giving away a Family Pass to Oz Comic-Con 2019 shortly.